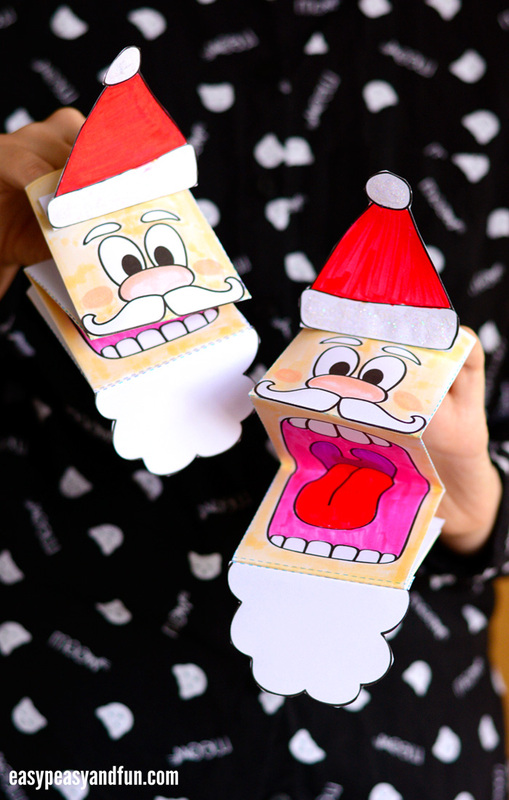 This cool looking printable Santa paper puppet template will keep your kids entertained during Christmas holidays. 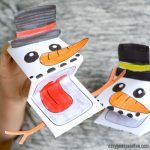 Making and playing with their own puppets is a wonderful activity for kids, both to make at home or as a project for the classroom. 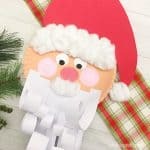 Crafts that kids can both make and then play with are the best, and this Printable Santa Paper Puppet certainly is one. 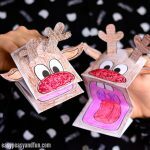 This paper toy is extremely easy to make, and if you pair it up with the printable reindeer puppet, will provide hours of fun. 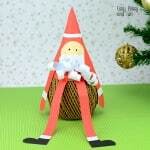 Perfect to throw a Christmas play for the family or friends to see. Can’t you just see all the chit chatty dialogues your children will come up with, or all the jokes that will come out of these paper puppet’s mouth? 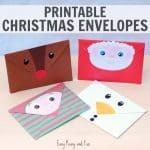 Certainly a Christmas craft to add to the list for kids to make this year. 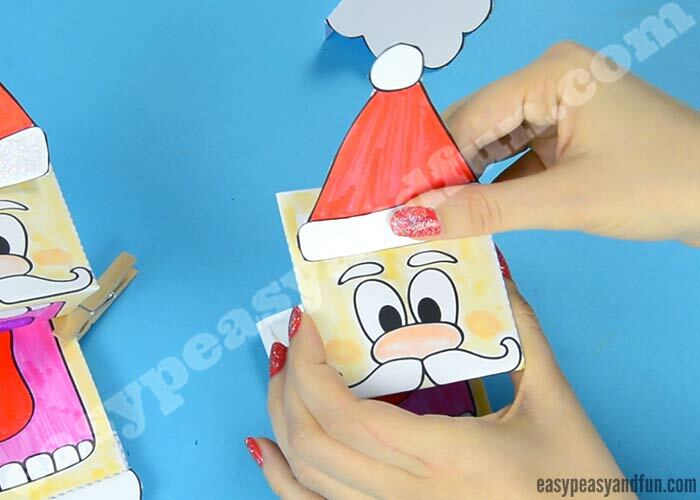 All these printable Christmas paper puppets, are suitable for kindergarten and older kids, while younger kids (preschoolers and older toddlers) will require adult help. But there’s no stopping them when it comes to play. Ready to make your own? Time to get crafty! Optional white glitter or white glitter glue to add glittery accents. Perfect for Christmas. Print out the templates (you can grab them at the end of the tutorial). 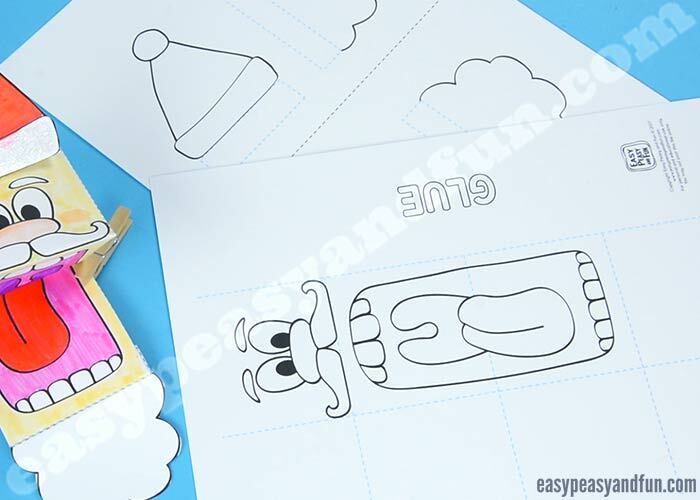 You can print the templates on regular paper (easier to fold, great for younger kids) or heavier paper (a bit trickier to fold) which will be more durable. 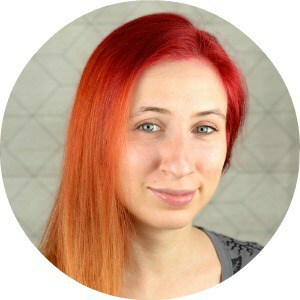 Once printed, colour in the template, just the middle part with the face is enough. Also color the second page with accessories. There are two sets of accessories on one sheet of paper, making it a paper friendlier version for classroom crafting. Cut the hat and the beard. Fold along the dashed lines. Make sure all folds are crisp. You can use a craft stick and run it across the fold to make it crisper. Make sure you fold both horizontal and vertical dashed line. Unfold once you are done. 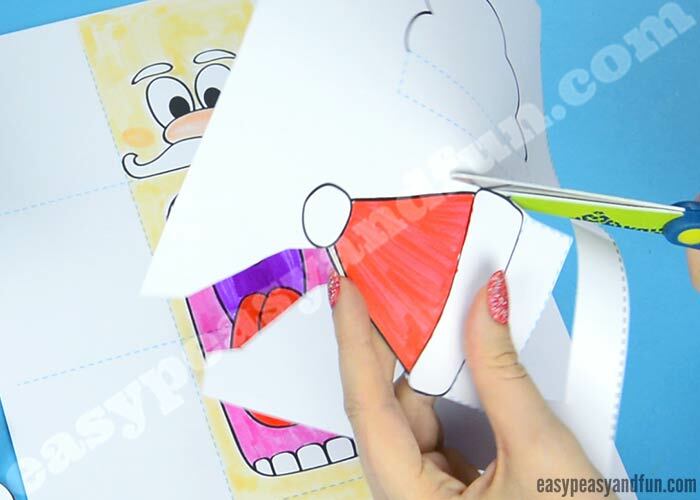 With the face facing the table, fold back the “flap” that says glue. Apply glue across the whole flap. Fold the other side on the “glue” flap, gluing them together. Fold into M shape, following the dashed lines. Fold hat along the dashed line and apply glue on the white square. 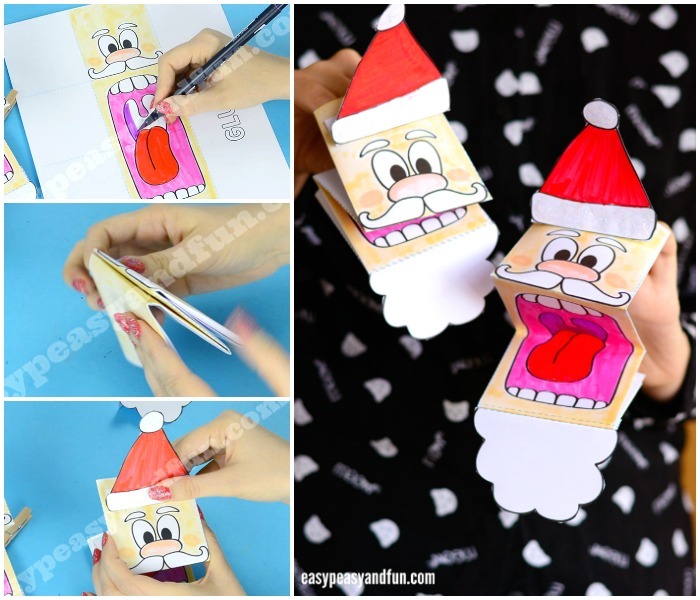 Stick on the printable Santa paper puppet. Do the same with the beard. All done! 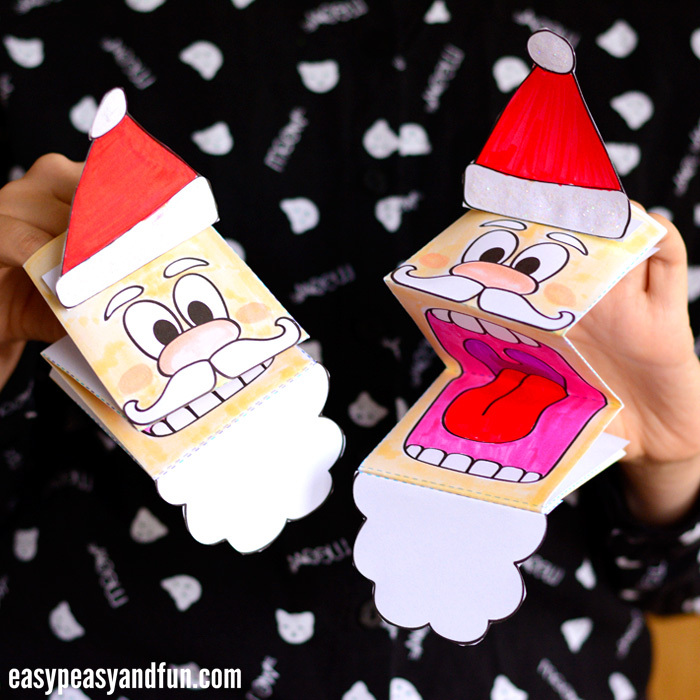 Your printable Santa paper puppet is ready to get chatty!